I came across some commentary about the whole “cycling as an alternative to driving” discussion which got me thinking. For now, bikes are a privilege for those who can afford to live in compact, livable communities where the distance between home, work, and amenities are, well, bikeable. A large portion of Americans don’t have the option to cycle anyplace. Seeing bikes as “a privilege” is a little awkward when thinking about low-income cyclists who legitimately cannot drive – which isn’t a great deal of people, granted, but it shows how mixed up things can be. For the affluent, it becomes a “privilege” to live close to work; whereas, traditionally residential zones located near work districts were the first to experience white flight and become slums. It’s somehow special to be able to not drive to work – whereas owning a car consumes at least 15% of your annual income on average. It becomes a lifestyle choice, because we have an auto-culture where we think roads are exclusively for cars. George Gonzales wrote an excellent paper I read a few years ago called “An Eco-Marxist analysis of oil depletion via urban sprawl,” where he talked about the way in which the collusion of various industries to create a market for their surplus of products, out of which the “suburban sprawl” phenomenon emerged. Aside from this, it’s also worth remembering the General Motors streetcar conspiracy. At the same time, with all this increased ability or autonomy associated with the personal automobile, consider that 41% of all trips you take go less than a mile from your home. Bikes are a superior form of sustainable transportation, in terms of energy used, durability, and overall cost, but we’ve redesigned the architecture of transit to suit a personal automobile, one of the most grossly inefficient means of travel (but also far more profitable to the manufacturers Gonzales writes about). When vehicular cycling advocates talk about their “Amsterdam” theories of how it should be (with lots of New Urbanism mixed in), we realize how we have to overhaul not only how we get from place to place, but where we live and what our towns and cities look like. It’s like the QWERTY keyboard – based on outdated technological parameters (meant to slow the typist down so the machinery didn’t jam) which now results in needless inefficiency. 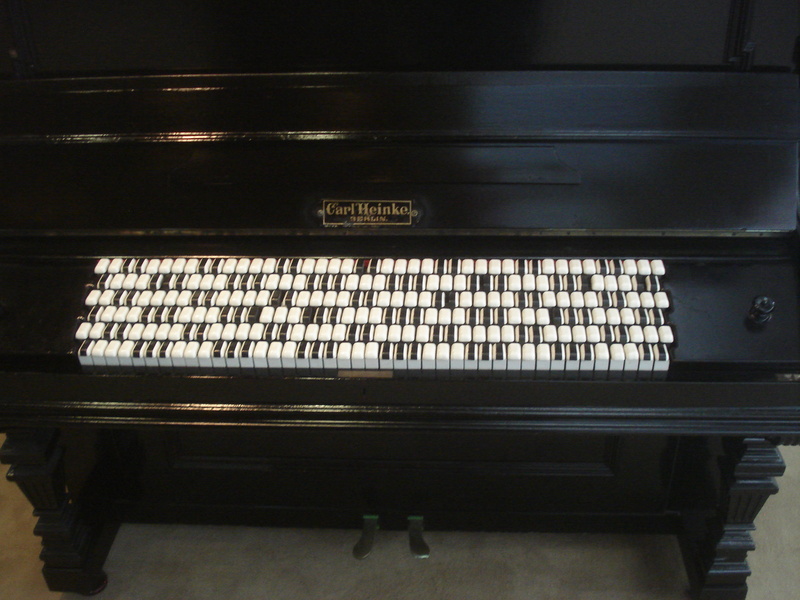 But to change the keyboard means upsetting something that mostly works, and which everybody is totally familiar with – the same way pianists rejected the Janko keyboard. In another example, most communications infrastructure follows the same physical routes as older mediums – in New York City, optic fiber cables run in the same conduits as old pneumatic tubes used to. Even our roads are where they are because that was what worked best at one time. George A Gonzalez, “An Eco-Marxist analysis of oil depletion via urban sprawl,” Environmental Politics 15, no. 4 (2006). Joseph A. Tainter, The Collapse of Complex Societies, Ancient Mesoamerica (Cambridge: Cambridge University Press, 1988). This entry was posted in Theory and tagged media studies, social criticism, suburban sprawl, systems theory. Bookmark the permalink.